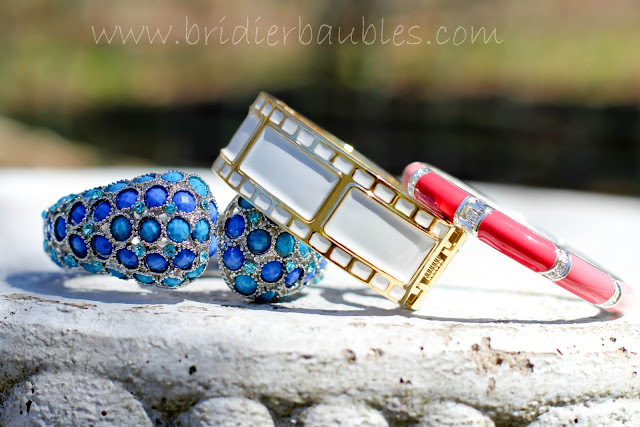 I Love You More Than Carrots: Bridier Baubles Love :: A Fun Fashion Find And Promo Code! Bridier Baubles Love :: A Fun Fashion Find And Promo Code! 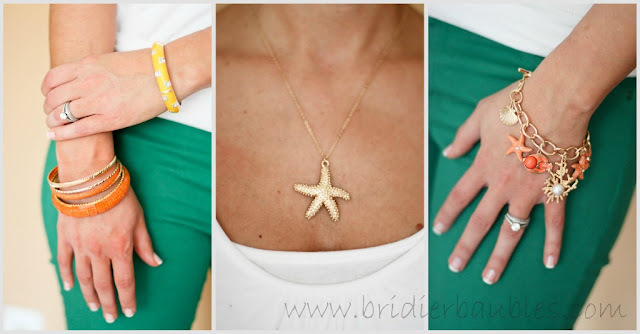 Loyals, meet my newest obsession: Bridier Baubles. a la modern-day Bushies and Kennedys having lunch on Nantucket." Bright bold colors mixed with clean lines, simple designs and the occasional sparkle. I mean, what more could you possible want? It's no secret that any single one of these pieces would be the perfect addition to your Spring wardrobe. Kerry is the beautiful mastermind behind the selling of these baubles and it's obvious that she hand selects only the best and hottest pieces to accompany any Spring or Summer soiree. A fellow Villanova Wildcat and girl after my own heart, I truly believe Kerry's impeccable, classic yet chic style helps her to select pieces that any girl would love to add to her collection. 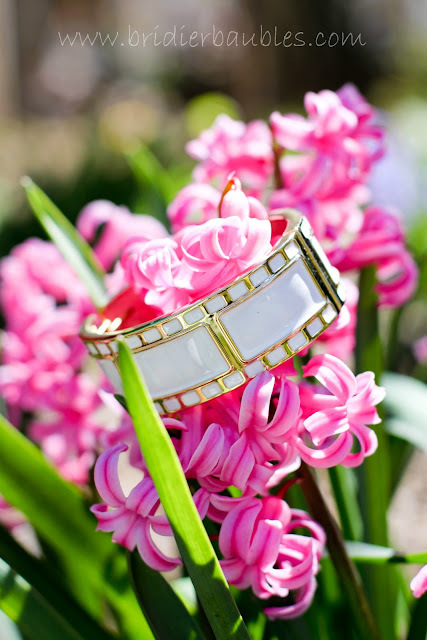 One of my absolute favorites pieces in her current collection is The Gramercy Bangle. This bauble compliments just about every ensemble and adds just that small bit of "somethin' somethin'" to pull the entire look together. Looking to expand your Spring-time accessories? Like them on FB here. Check out the Bridier Baubles website here. Follow Bridier Baubles on Twitter here. every time I've worn one of my Bridier Baubles out on the town! And what's sweeter? Shipping is ALWAYS free! In celebration of Easter Weekend, Kerry has graciously offered a 10% discount code to all readers and Loyals of ILYMTC! Thank you, Kerry! Just enter "AP" at checkout to receive your discount! Be sure to come back and let me know what bauble you'll be adding to your collection! I bought the azure cuff and the gramercy bangle. Can't wait to get them! Thanks for the great info and the discount code! Love! Thanks for the discount code!